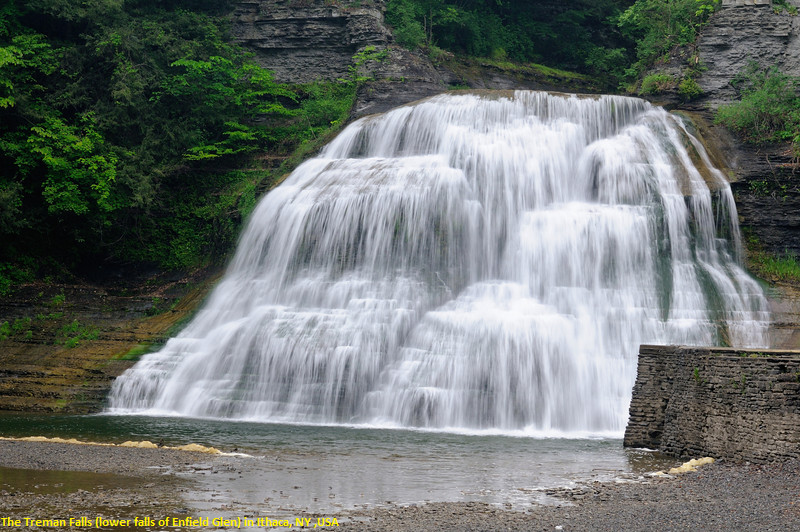 Robert H. Treman State Park is a 1,110-acre (4.5 km2) state park located in Tompkins County, in the Finger Lakes region of New York in the United States. The park is situated in the towns of Ithaca, Enfield and Newfield. Robert Henry Treman (1858-1937) first purchased land surrounding Enfield Falls in 1915, and worked to improve the property by planting over 1,000 trees. He and his wife, Laura Treman (Hosie) (1865-1944), donated the land to New York State in 1920 for the establishment of Enfield Glen State Park. The park was renamed in Robert H. Treman's honor following his death in 1937. The Enfield Falls Mill and Miller's House was listed on the National Register of Historic Places in 1979.